When Stella Christine Acom joined Aputiput School in Uganda, which first opened in 2004, there were no permanent classrooms, teaching facilities or toilets. The few books they did have were tatty as there was nowhere dry to store them at the school. There was one temporary structure that housed 150 pupils in three separate classes, all sharing just one blackboard. During lesson time Stella and her peers had to sit on stones and logs or directly on the hard mud floor. It was uncomfortable, the children often got restless and during the wet season the floor became swamped and impossible to sit on. The hot weather brought different challenges as the nearest drinking water was a 3km walk away. Lessons had to start late as the trees did not provide enough shade from the sun early in the morning. 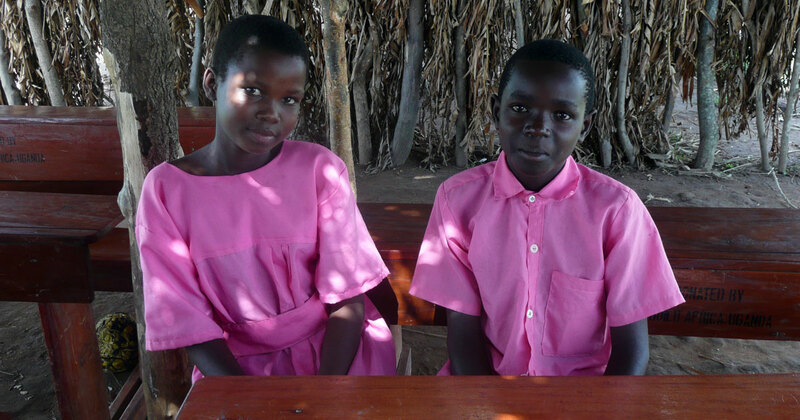 There was a severe lack of sanitation facilities with just one toilet to be shared by all of the pupils and the teachers, which was unhygienic and didn’t give Stella the privacy she needed. It was the generous donation of a legacy in 2008 that turned the school around. That year, a three classroom block was constructed and in 2009 another followed. Desks and chairs have been supplied for every child. Stella is better able to concentrate and no longer needs to worry about missing lessons due to the weather. The classroom provides shelter from the rain and the hot sun, and a water tank ensures water is available for the children and teachers at the school. 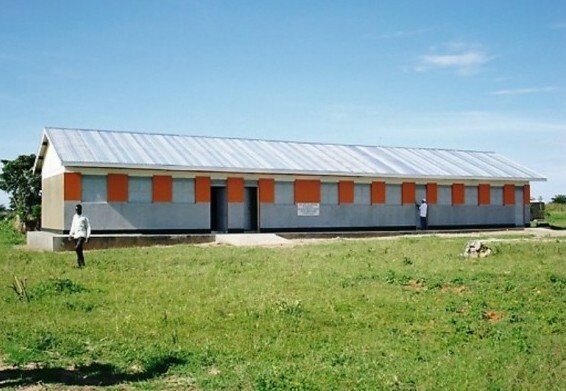 There are now two five stance toilet blocks, improving hygiene and privacy for the children. Stella’s quality of education has improved significantly. As well as enabling her to stay at school for longer, the news of the new classrooms reached the government, who sent three new teachers to Aputiput School. There are now enough teachers for each year group to be taught separately. The benefactor was able to visit Uganda in 2008 and witness firsthand the difference his wife’s legacy had made. He was profoundly moved by the way in which the lives of children like Stella have been transformed as a result of his wife’s gift and by the enthusiasm and dedication of the community to ensuring the success of the school that now stands as a tribute to her. Stella’s school is now going from strength to strength. Teachers have been trained to improve their ability to teach numeracy and literacy skills, and health clubs are in place to teach the children about HIV/AIDS. Plans are in place to educate teachers on how to include sports and play in order to make learning more fun and effective, and radio programmes will be aired to raise awareness of the importance of sending girls to school. As an educated girl, Stella is likely to marry much later. When she does become a mother herself, her children are 40% more likely to live beyond the age of five, and three times less likely to contract HIV/AIDS. Now able to have a good education, Stella has a much brighter future to look forward to, all thanks to the generosity of one person.